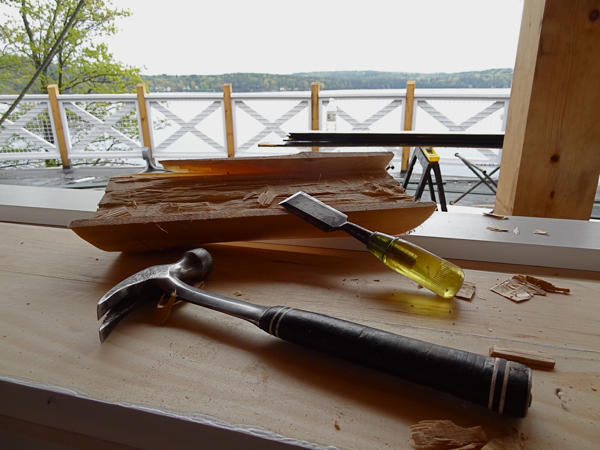 This summer we were hard at work installing some new rustic furniture and also some rustic interior elements at The Lodges of Church Landing. 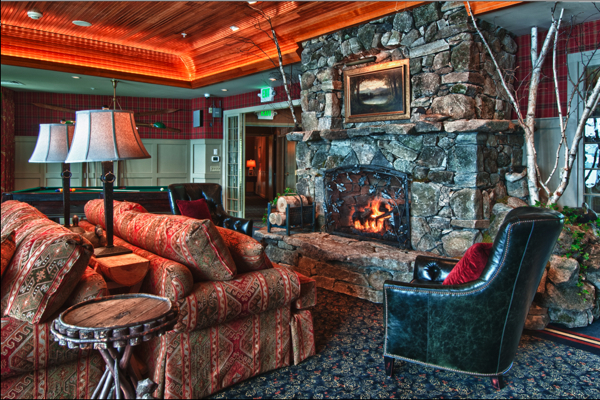 A new addition to this luxury rustic style resort on beautiful Lake Winnipesaukee, NH. 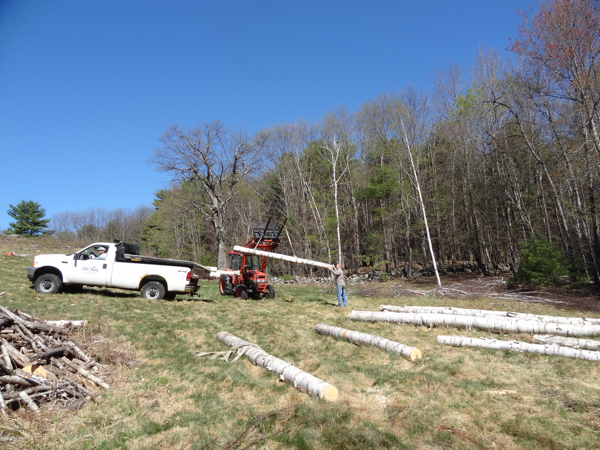 We have installed over 50 white birch trees. Some being 20' long. 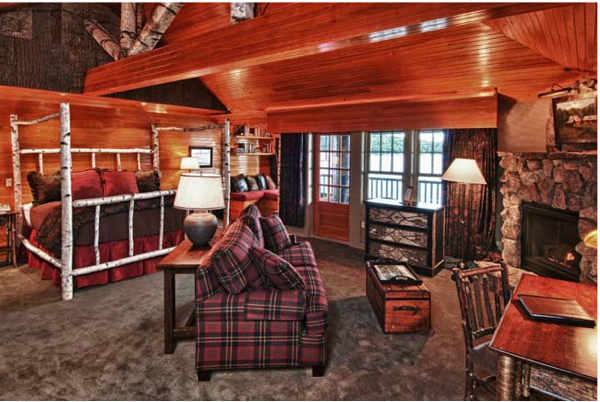 We also detailed both lodges with peeled cedar handrails, half birch log window trim, and 10 rustic TV lift cabinets. 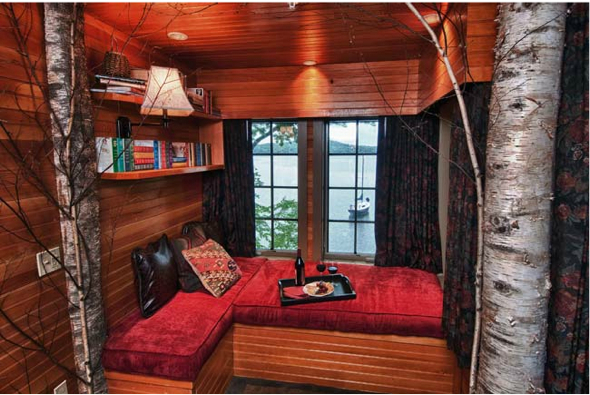 Birch bark veneered beams and poplar siding create the feeling of bringing the outdoors inside. 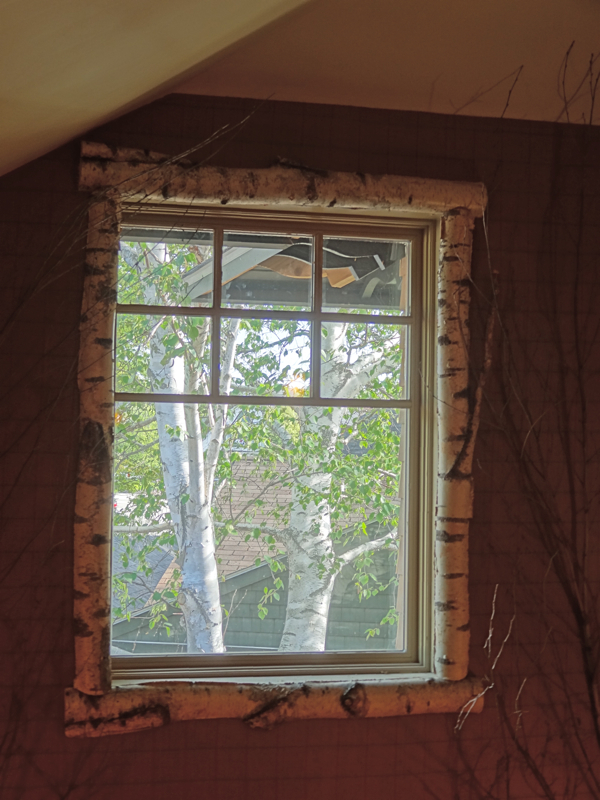 We installed half log birch window trim, peeled hemlock hand railings, and birch trees throughout all three lodges. 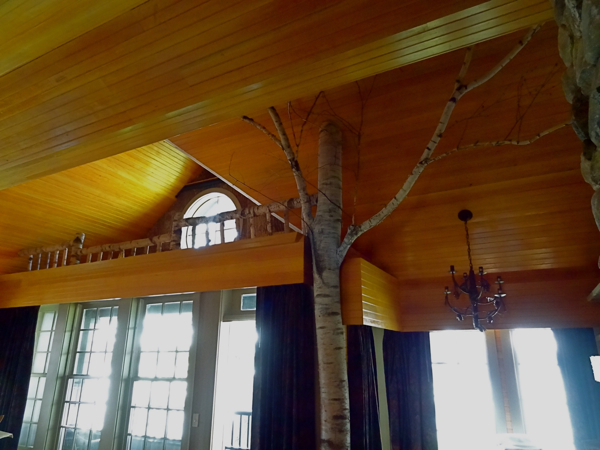 This 14' white birch tree was installed with the branches and trunk scribed to the angled ceiling in the tree house room. We also installed the loft gate. 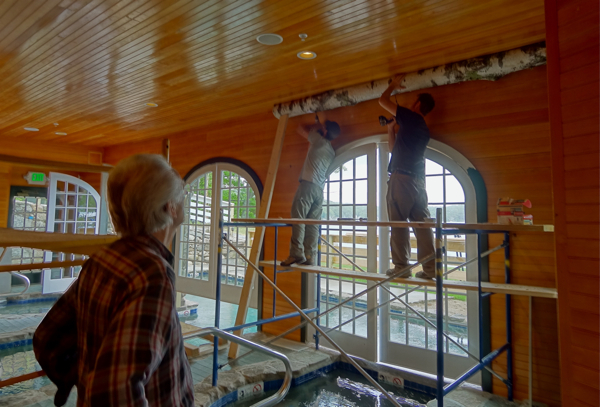 Ben Likata and Craig Hall, our two brawney rustic craftsmen putting up the first of 50 logs in the pool room area of Church Landing Lodges while Don Sr. looks from below thinking, "have fun with that!" 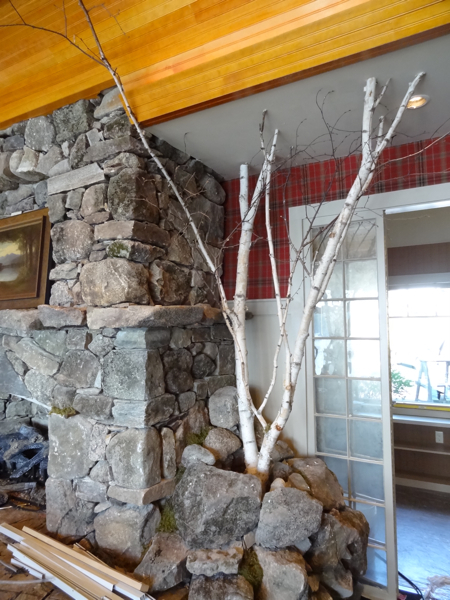 We installed the birch trees on both sides of this amazing fireplace in the main lodge. 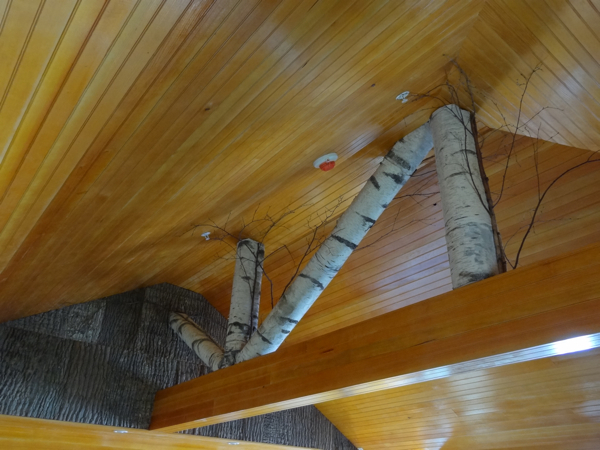 A closer look of the birch trees scribed to the ceiling and mounted inside the granite well. 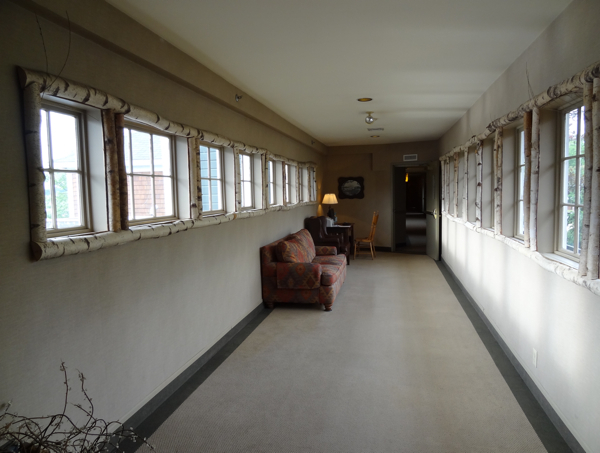 Church Landing Lodges. 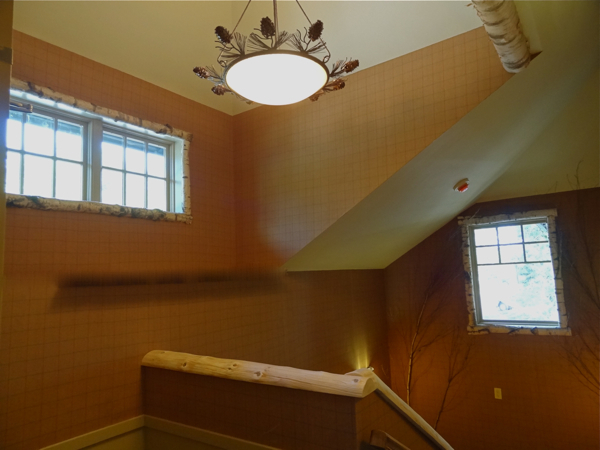 In this room we installed one of our rustic TV lift cabinets and the birch logs in the rafters. We did not build the canopy bed. 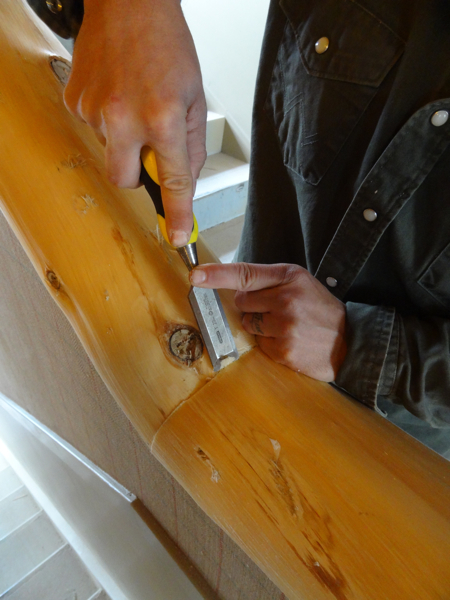 Ben Likata scribing the peeled log hand rails. Church Landing employee, Tom Bufum and his two helpers loading up the felled white birch trees separated by carpets so we don't scratch the birch bark. 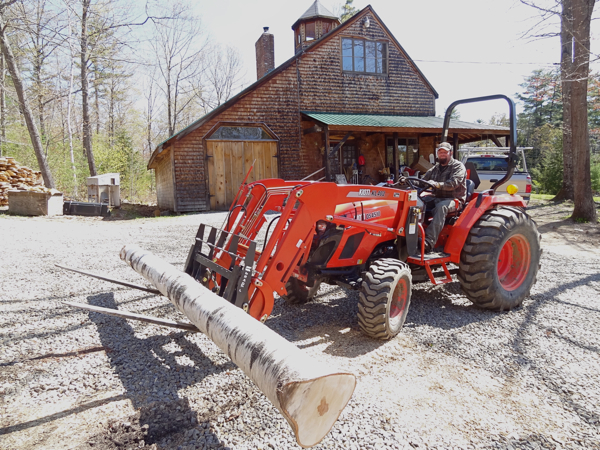 Sean Oleary from Sharps Lumber on Squam Lake milling all of the birch trees. 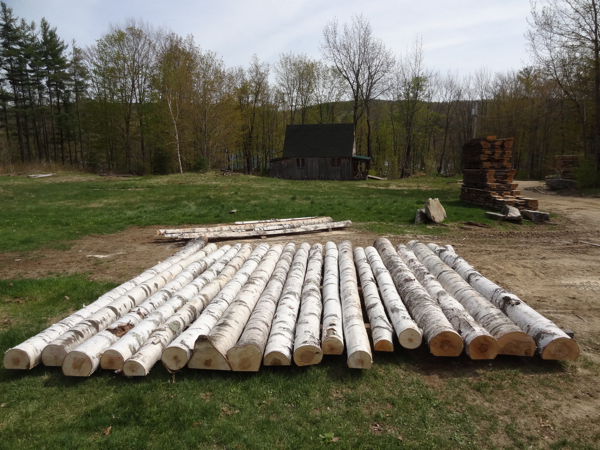 Some of the birch trees for Church Landing Lodges waiting at Sharps Lumber for delivery. 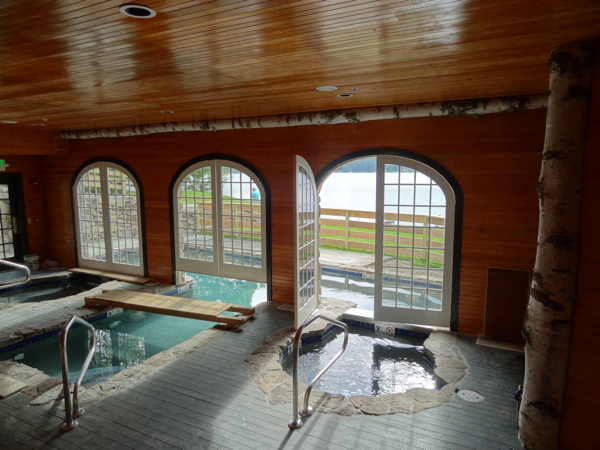 At the end of the day Church Landing is a great place to work while looking out at beautiful Lake Lake Winnipesaukee. Big thanks goes out to Rusty McLear and Patricia Sava for bringing us on board this great project and to their continued business.